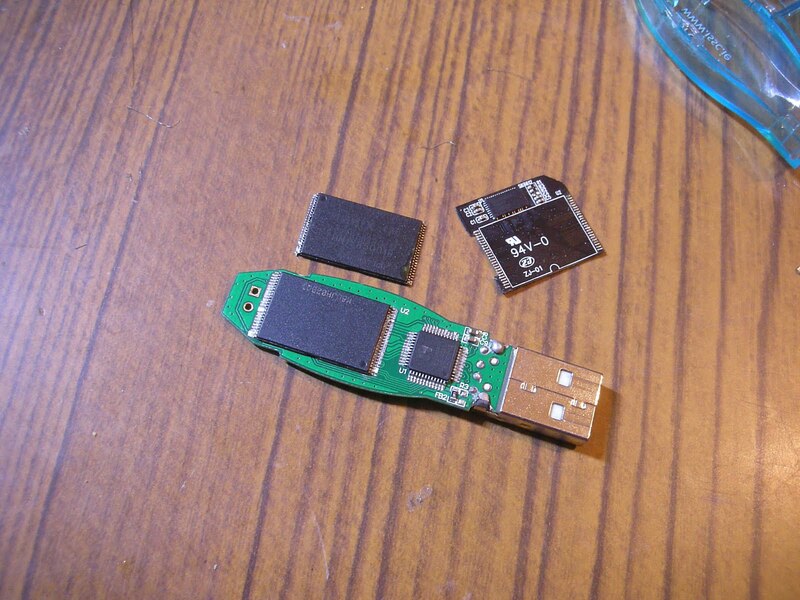 I have had some very bad luck with SD cards and micro SD cards in the past. This is probably caused by build-quality of the cards i buy: normally I just get the cheapest I can find off www.dealextreme.com. As well as that, I never take good care of my gadgets, so when they do finally give up the ghost, i blame it on bad design on the manufacturers part. 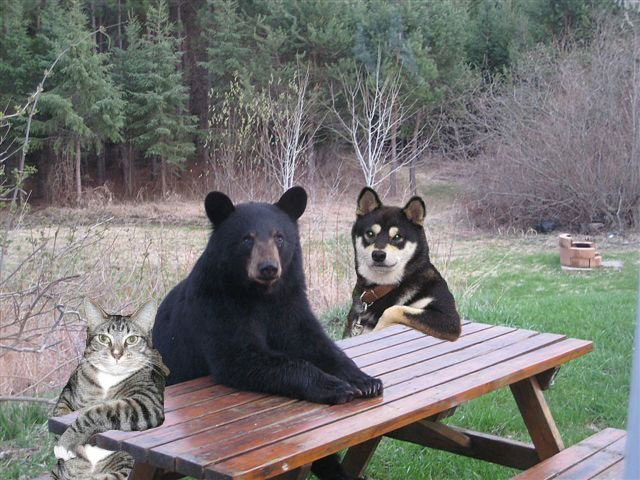 On more than one occasion I have taken a good few pictures with my digital camera, only for the camera to report that the card has "cannot be accessed". 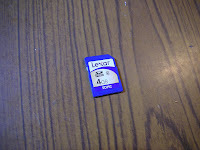 Normally when this happens, I have found that its just a dodgy connection between the contacts on the micro SD card and the camera. By ejecting the micro-SD adapter and the micro-SD card from the from the adapter and putting the whole lot back together again, Ive got the camera to read the camera again. However, sometimes even this has failed to work. 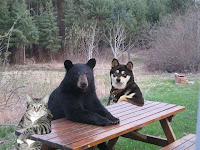 In these situations, the problem was normally caused by a corrupted file-system on the card. When you plug these cards into a PC or Mac using a card reader, the OS will tell you that the "Disk is not formatted" or "The disk is not initialised". Ive had some pretty good success with Data recovery software such as "Data Rescue II" at recovering the photos off these drives. 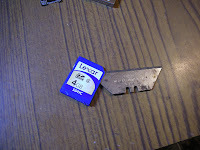 Now, a few days ago I was asked by a mate to have a look at a SD card that wouldnt talk to his camera. "Grand", I thought, "Il just use some file recovery software to get the photos back". Unfortunately, It wasnt that easy. 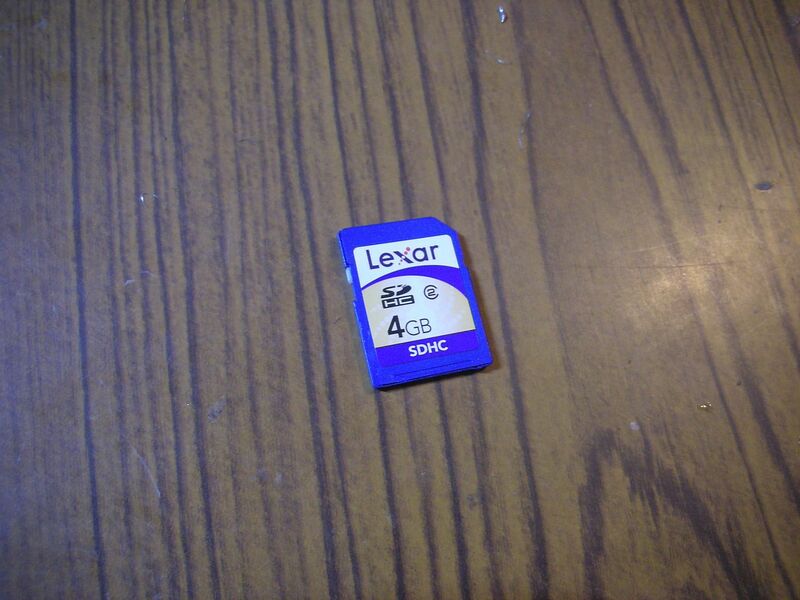 The card couldnt be read by either my own camera or my SD card reader. On my Mac, it showed up as a 1Mb drive that couldnt be read or even formatted using Disk Utility. Ubuntu couldnt mount it, and neither could windows. Since i had nothing to loose, i decided to try something a little more drastic. 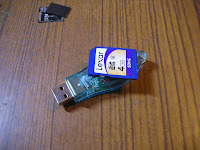 SD cards and USB flash drives are usually consist of two main chips: The Flash chip that contains the data, and a controller chip to do the communicating between the flash chip and the PC/device. Sometimes the controller chip can get damaged, resulting in an unreadable card, even though the actually data on the flash chip is fine. 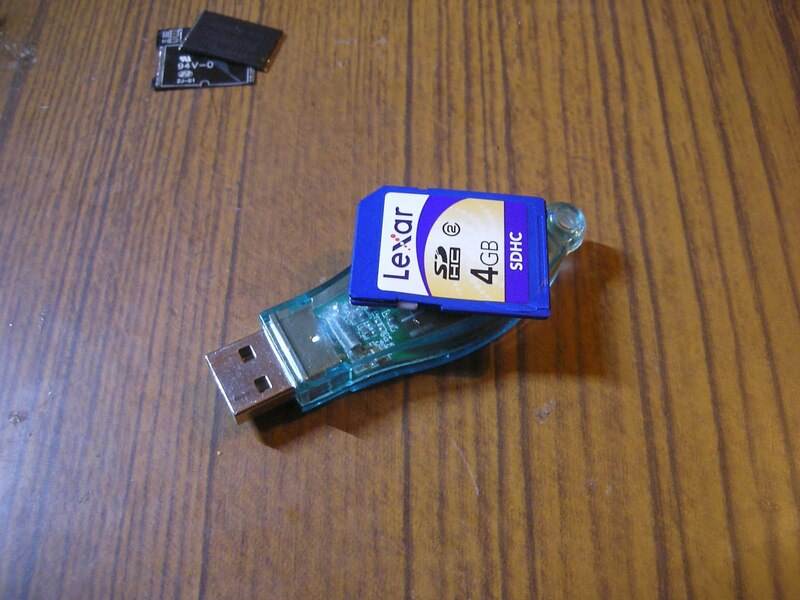 A few usb flash drive and SD card recovey websites offer file recovery by removing the flash chip from the device and reading the chip directly using an chip reader (http://www.sd-flash.com/ http://www.ssddfj.org/papers/SSDDFJ_V1_1_Breeuwsma_et_al.pdf). A chip reader was out of my budget, so I thought i could try and use a old USB flash drive. 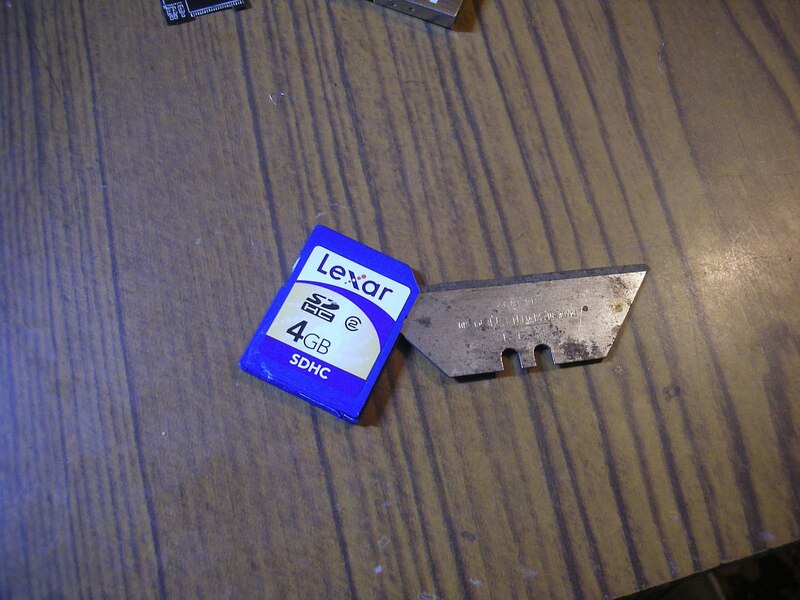 If i remove the old flash chip from the usb drive and replace it with the chip from the SD card, hopefully I can read the data again. 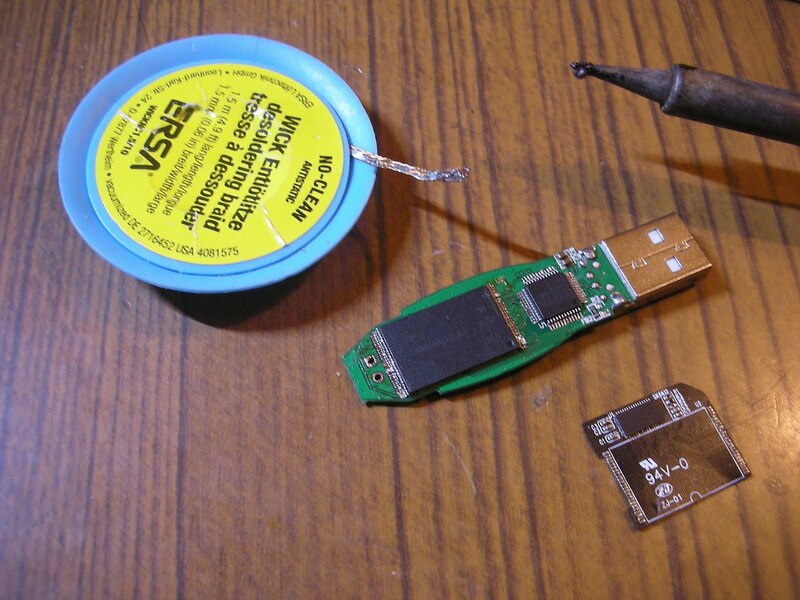 Removing the chip from the SD card was easier than you might think. The pitch of the TSOP flash chip is too small to solder each leg off individually, Instead, you can just flood the whole side of the chip with solder, and gently lift the chip up. The legs can then be cleaned from excess solder using solder braid. A similiar method is used for soldering the chip to the USB flash drives pcb. You just place the chip onto to footprint taken up by the old chip. Then, carefully solder one corner leg on each side of the chip into its correct position. Flood each side of the chip with solder. Then, remove the excess solder using the solder braid. Finally, check each leg of the chip and make sure that there are no visible solder connections between the neighbouring legs. Unfortunately, even after all this, the flash chip could still not be read by my laptop. Similarly to before, it showed up as a 8mb drive that could not be mounted/formatted on my Mac. From what i could see my soldering was fine, so my only conclusion is that either the flash chip itself is damaged, or else the controller chip on my usb drive wasnt compatible with the larger capacity flash chip on the SD card (1Gb and 4Gb respectively). Great post its all information is really very nice and helpful for me and other users.